Colocation is a data center facility in which an organization can rent space for server and other computing hardware. Colocation offers customers with space in building giving exposure to state-of-art data center facility with cooling, power backups, bandwidth and physical security to their servers and storage. Colocation is one of the best options for the companies to setup the server machine in the service provider’s cabinet and share their bandwidth like they could access a website with a hosting provider and pay a rental for the same. Colocation services are one of the most adopted solutions by all companies owing to its long-lasting features that it provides to the users. This solution is provided by all the data center service providers across the globe to build the IT infrastructure into their well-equipped facilities. It helps the businesses to efficiently manage their workloads without worrying about routine IT tasks. Colocation has also emerged as an ideal platform with an ability to meet the requirements without rising operating cost. Colocation helps in supporting the applications for business functions providing agility to current business operations. 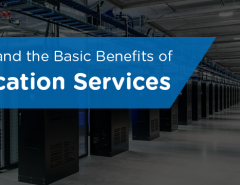 Cost Effective – Colocation is always considered as a cost effective option as it allows multiple clients to share the technology driven infrastructure including internet connectivity and higher bandwidth without any heavy investment. The rental is shared among all the clients who have their servers in the same facility. Transparent – Transparency is what that urges businesses to incline towards collocation services. This feature plays an important role in solving complicated performance and reliability problems. With the help of colocation, it becomes easy and users can share their resources with others without the fear of security threats. Data center security – Keeping all IT assets in a data center facility that is equipped with environmental controllers and security measures are always considered as an optimal decision. Data center facility offers a secure space to function without worrying about asset or data theft, flood and hurricanes. Colo services offers CCTV feeds captured in their Building Management System, 24/7 and 365 days monitoring systems, security guards for physical examining to safeguard customer’s data and biometric access panels. Scalable – Colocation servers have become ready to scale with cloud computing. A user of colocation can enhance applications and manage them by optimizing or scaling down server configuration based on your business needs. • Network Connectivity – Colocation is not just confined to stacking and housing of your server in a facility with network connectivity but is far more than that. Colocation vendor provides secure and fast private network to support critical IT applications. They offer Virtual Private Networks for increased security. • Network Security – Colocation provides advanced level of network security, along with latest firewall mechanism to detect and prevent unauthorized access to customer’s systems. You should choose colocation services after assessing its core strengths. It guarantees 99.95% network connectivity to your business, round the clock technical assistance and multiple telecommunication network options can help the companies to keep business critical applications always up and running. 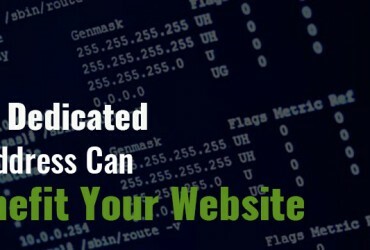 Previous Article Why Should You Have Dedicated IP Address? 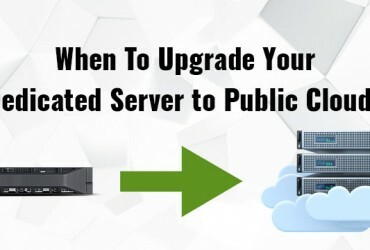 Next Article When To Upgrade Your Dedicated Server to Public Cloud?